Government and the Industrial Development Corporation have launched an online portal, providing businesses easy access to information on government incentives. Government and the Industrial Development Corporation (IDC) have launched an online portal, providing businesses easy access to information on government incentives. 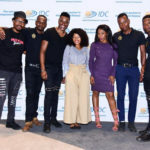 IDC’s Head of Development Finance Department Meryl Mamathuba, says the portal gives businesses all the information they need on what is out there to help them sharpen their competitive advantage. “It is important to establish sustainable enterprises to boost job creation and to increase the state’s participation in development. Ultimately, the aim is to promote private sector involvement in both the creation of productive capacity and research and development (R&D) in the country,” says Mamathuba. She says the primary benefit for businesses is easy access to information and help.